It was 1979, and my great uncle Rebel Lee was not feeling well at all. The doctor told him that he was going to do something called exploratory surgery on his innards to find out what was wrong. After the surgery, Doc told him that there was so much cancer, that he just sewed him right back together. Ole doc said Rebel Lee was about to meet his maker. In the hours that followed, Rebel begins to think and ponder about his life. He begin to realize that his life had been full of some days . 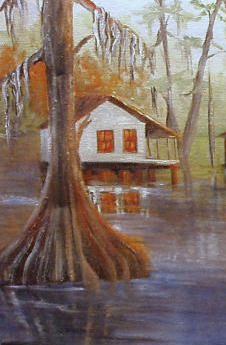 . . some day he would retire, some day he would build that camp on the bayou, some day he would hunt and fish anytime he wanted too. Now he knew there wasn’t going to be any some days, only today, with very few tomorrows. Rebel decided he wasn’t going to wait any longer for some day. He was going to live his life the way he always wanted to. The day he got out the hospital, Rebel didn’t go home to bed like doc told him to. Instead he changed out the transmission of that old truck of his. When the truck was fixed, he loaded the bed full of carpentry tools, and with his dog beside him, he headed for the bayou to build his camp. 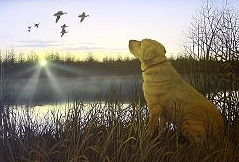 When the camp was finished, Rebel spent his time hunting and fishing. He embraced life like an outlaw. It didn’t matter if it was deer or shrimp season. If he wanted to hunt deer he did. If he wanted shrimp for dinner, he used his cast net and caught him some. Rebel Lee died in his sleep with his dog lying beside him. When his family found him, they also found several freezers loaded with deer meat, catfish filets and frozen shrimp. It was February, 1989. . . Ten years later. Don't know if you are still writing on this blog. So your family found him ten years after he had passed away. I was reading your Cajun French dictionary. Really enjoyed your stories and recipies.